"excellent provider, already recommended him numerous times!" "I was very satisfied and impressed with Dr. Nett and his PA."
"Dr. Nett is a caring doctor who took the time to address my needs and answer my questions and concerns thoroughly. He provided helpful recommendations for my continued recovery and well-being." "I have already recommended Dr. Nett to all I know. He is a wonderful caring doctor." "I already recommend him to my mom, and others." "Dr. Nett and his staff are the most efficient medical group that I have ever dealt with." "Dr Nett was completely thorough. His demeanor was personable and one of concern"
"This care provider was recommended to me and I would with out a doubt recommend them to others." "I find Dr Nett professional, friendly & compassionate." "I have praised Dr. Nett and his team to the extent that my primary has recommended them." "The appt and process went smoothly"
"dr was okay i was very emotional that day. he did his best"
"I have recommended this doctor to many, many people (everyone loves him) and now he is SO busy!!!!" "Dr. Nett is so kind & caring & LISTENS. Recommend him & practice all the time." "Dr. Nett and his associates were very professional and courteous. I was put at ease immediately by his caring manner and the precise explanations he gave me concerning my knee issues." "Dr Nett is excellent a very understanding doctor"
"All of the above were excellent as provided by both the Doctor and PA"
"Dr. Nett was very personable & professional. Listened to what I had to say and my concerns." "I have referred Dr. Nett to several people and will continue to do so." "Dr. Nett never fails to take the time to fully answer questions or concerns, I have never felt rushed or that my questions or concerns were not addressed in a caring and concerned manner"
"He did my other knee two years ago. If I had not liked how that knee turned out, I would have gone elsewhere." "Dr. Nett is friendly, helpful, positive and the best ortho I have ever seen and I've seen many." "Dr Nett and his Np do a great job....I am always recommending Dr Nett!" "I would definitely and all ready have referred friends and family to Dr. Nett. I am EXTREMELY pleased with him as my surgeon hes a WONDERFUL surgeon and much to my surprise, I found out that I had quite a number of friends/mutual friends that he has operated on and his reputation precedes him." "Dr. Nett and his PA were excellent"
"very pleased with Dr. Nett. I've recommended him to several people." "This was a follow up visit to bilateral knee replacements, I have already recommended Dr. Nett to 4 other people, 3 have already seen him and are happily under his care." "Dr Nett is the best." "I recommend him to my friends. " "Would recommend Dr Nett and his associates to others." "dr nett is kind & compassionate. I went to one of his seminars & he appears to be very knowledgeable"
"i have recommended Dr Nett to many family members and friends"
"I was very pleased that relating my problem was listened to with interest and concern." "Have the upmost confidence in Dr. Nett and have already recommended new patients to him." "Dr. Nett is awesome, polite & knowledgeable. #9. 10+. " "I recommend Dr. Nett and his staff very highly. I recommend him every chance I get." "I have recommended this doctor. but PLEASE try to be respectful of people's time when they have an appt at a certain time. it isn't right to be waiting so long"
"Dr Nett has an excellent patient doctor relationship. His skill is excellent. The same level or better than HSS." "I have been a patient of Dr Nett for quite some time. He is an outstanding physician. His attention to his patients is outstanding. He is compassionate and answers all of my questions. I was in the pharmaceutical industry for almost 15 years and called on many doctors. Dr Nett has to rank in the top 1 percent which includes doctors that I presently see. I would recommend my friends to him without hesitation. It is a pleasure to be a patient of his." "Dr.Nett is an excellent orthopedist, who provides caring and professional treatment and counsel." "Excellent surgeon with a great long term plan"
"Dr. Nett is just amazing in every way. I trust him implicitly; he is so warm and friendly and has been taking great care of my knees." "Dr. Nett was very personable and clear. Did not feel rushed in my appointment. Took time to explain my treatment." "Upon meeting Dr Michael Nett I felt I was in good hands, his greeting smile, un rushed explanation of my condition and procedure made me feel that I had made the right choice for an orthopedic surgeon." "I couldn't have asked for a better, more professional surgeon than Dr. Nett." "wonderful dr and staff. office is run with great precision. wish every office could be this efficient"
"I adore Dr. Nett and Dr. Juan they are both professional and caring. They spend time answering questions and know my name." "Dr. Nett is the best. takes time to talk to me and excellent bedside manner. Cannot day enough good things about him." "dr was very good at all things"
"DR. NETT WAS PROFESSIONAL, ARTICULATE, FRIENDLY, KNOWLEDEABLE, UNDERSTANDING AND DIRECT. DR. NETT MADE ME FEEL CONFORTABLE." "I would highly recommend Dr. Nett to anyone with similar health issues. He is truly an asset to Northwell Health!" "I recommend Dr. Nett to everyone!!!!" "Dr. Nett is a wonderfull Dr. and I have the utmost confidence in him and would highly recommend him." "I have seen Dr Nett on previous occasions. He is an outstanding physician with great bedside manner and I really feel that he cares about his patients. I would recommend him to any person looking for an orthopedic surgeon. His partner Dr Rhinehardt did a knee replacement on my wife and is also an outstanding doctor." "Would highly recommend Dr. Nett. Excellent surgeon." "Dr Nett is very thorough in his exam and after exam follow up was excellent and very much appreciated"
"I have many times great surgeon very knowledgeable and great bedside manner. Would never change him." "he was extremely kind professional and knowledgeable." "Dr. Nett is a great person. l couldn't see any patient disliking him ." "Dr. Nett immediately recognized interaction with cardiac medication and advised me accordingly." "Dr. Nett and his staff were always friendly and professional." "I have recommended this provider to many people because of there great service." "Dr. Nett is a very thorough and professional doctor. I am very confident in him and being a patient." "Dr Nett explained everything fully and recommended a course of action that I found completely acceptable. His experience and knowledge proved invaluable for my knee issue." "Dr. Nett is excellent at explaining your condition and the treatment you will receive. His attention to my care before and after my two surgeries was amazing. He and his team (Yon, Aviva) have been both helpful and supportive during the recovery from both my surgeries"
"Very much liked that there was a firm handshake care to introduce himself to person w/me (my son). Took ample time to explain my injury & show it to me on X-rays & MRI. I liked that he wanted his own set of X-ray & wanted a look at my healthy knee as well." "Dr. Nett is caring, professional & knowledgeable. He is easy to talk to and involves patients in decision making. He gets an A+!!" "I love Dr. Nett he listens to you doesn't seem like he's in a rush to get you out of there I would definitely recommend him to anyone that needed a knee specialist"
"Dr Nett's team is the best!!!!" "Dr. Nett is very friendly always smiling. He's both courteous and caring & knows what he's doing excellent dr. already scheduled 2nd sx with him for may. #9. Excellent. " "I have recommended Dr . Nett to everyone since the first time I met Him"
"love DrNett he is the best"
"Dr. Nett is a gem!" "He explained everything. He is very clean - he sparkles." "Excellent doctor, would highly recommend." "Very pleased with the time and care Dr. Nett provided." "I have in the past and will in the future. Dr. Nett is an excellent surgeon!" "Dr. Nett is perhaps the most professional and likable dr. I have ever encountered." "I have a lot of confidence with Dr. Nett. Never felt more comfortable with a doctor before I came to see Dr. Nett five years ago." "Dr. Nett was excellent via a vis his explanations & nature of possible treatment. " "Dr. Nett is courteous and shows empathy." "I could not expect any better care anywhere by any doctor. I am amazed always at Dr. Nett and the student doctors of his group." "knowledgeable, courteous and efficient a pleasure to deal with." "Dr Nett would get my highest recommendation!" "I had a colostomy 2 months ago & we are working together to decide what the next step will be." "Dr. Nett has always been extremely professional, polite, courteous, caring and takes time to listen to my questions and concerns." "Dr. Nett and his staff were Great, I have not been to the Office in 6 months"
"Dr. Nett is an excellent doctor with outstanding bed side manner"
"I have recommended a friend who had @ good result." "Dr. Nett is a cut above the rest. I have had 3 surgeries performed by him, he is an excellent surgeon, confident, caring, gentle. " "Dr. Nett is amazing! Caring, concerned, engaging, understanding, comforting, courteous and very well spoken. he made a very scary time easy. Top notch in every way!" "I have recommended him to family and friend's"
"Amazing doctor who really cares about his patients." "I've already recommended Dr & Southside Hospital to many friends asking about joint issues....!!!!" "Dr. Nett came 2 days in a row after my bilateral knee replacement - unheard of by any other surgeon." "I highly recommend Dr. Nett since I first met him for my care in 2011"
"Dr. Nett is truly a great Doctor with compassion for his patients !" "Dr. Nett is very, very good. You should be happy that he is in your group." "a true gentleman and a nice person on top of being a great doctor." "Excellent experience, thank you very much!" "I have already recommend Dr Ness to four new patients because I feel he is an outstanding professenial Dr."
"Very good patient care -"
"Had a delightful visit with Dr. Nett!" "Excellent doctor, nurse and staff." "A great surgeon and human being,Doctor Nett is a compassionate,courteous ,caring physician and his staff doing a wonderful job." "Cursory explanation of the medication, but I didn't have any questions either." "I did recommend one of my friends to dr nett. she's having her surgery on October 23rd and so far she's very happy with Dr Nett"
"Dr. Nett very attentive & caring." "Dr. Nett's office/staff are perfectly caring & professional customer care offices." "Have recommended Dr Nett to two people already and they have followed through"
"Wasn't told to ice and elevate after the shots. Still great experience." "Dr. Nett takes the time to listen to my concerns and answer questions." 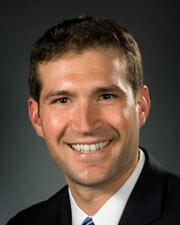 "I have and will continue to recommend Dr. Nett to anyone having knee surgery. he is an excellent Doctor." "My previous comments say it all--Dr. Nett and his staff are excellent." "Dr. Nett is an excellent health care provider and I will recommend him to family and friends." "ALREADY RECOMMENDED THEM AFTER MY FIRST VISIT"
"Both the NP & MD spent a good amount of time with me and answered all my questions and let me feel like I was contributing to my decision making"
"Dr. works well with primary & myself in my care (complex case)." "i highly recommend Dr. Nett"
"DR, Nett MD perhaps the best Surgeon one could want or expect"
"Dr. Nett is #1 in my book. He is excellent & I highly recommend him." "Dr. Nett is terrific and I have recommended him to relatives and friends." "I have confidence in Dr. Nett's treatment of me." "Dr. Nett was caring, showed me the issues with my knee, very calming all around nice guy." "Provider was highly recommended by a friend." "Dr. Nett is the best doctor I have ever met. He is greatly appreciated by me. #1. Dr. Nett." "While Dr. Nett does not waste time, he is attentive to patient concerns." "Best very helping and courtesy." "Dr. Nett is a great person & surgeon. Always return calls & always positive & caring!" "Dr. Nett is amazing - suffered 6 weeks with undiagnosed pain & he took x-ray & diagnosed _____ bursitis - saw him once many yrs. ago & was delighted to find him again." "Dr. Nett is an extremely competent professional with the ability to interact and communicate with non medical patients." "I would recommend him to others." "Not surprised that the doctor was super busy. He was recommended highly and the visit was as expected - - excellent." "Dr. Nett is a compassionate person. He operated on me 2 years ago also - I wouldn't consider another doctor. #9. EXTREMELY." "Dr. Nett is a consummate professional and clearly cares about the patients." "I would recommend Dr. Nett to anyone in need doctor." "Never felt rushed during my time with Dr. Nett. He showed me a genuine concern for my condition and recovery." "Dr. Neff is an excellent doctor, very caring - I have a lot of trust in him." "I had an infection by my replaced knee - Dr Nett was very attentive to my PROBLEM." "Dr. Michael Nett is a very caring and great and understanding dr. The best." "Dr. Nett is a patient's "dream doctor."" "Dr. was very friendly and helpful." "He take his time with you." "Dr. Nett is a very concerned and caring doctor. I recommend him to everyone."